Paul Burgoyne has been in the transportation industry for 25 years, and the Poland, Ohio resident knows the ins and outs of the industry, and its problems. A noted concern of transportation companies inspired Burgoyne’s REACH management system and mobile app for shippers, equipment providers, trucking companies and repair-service providers to communicate effectively. 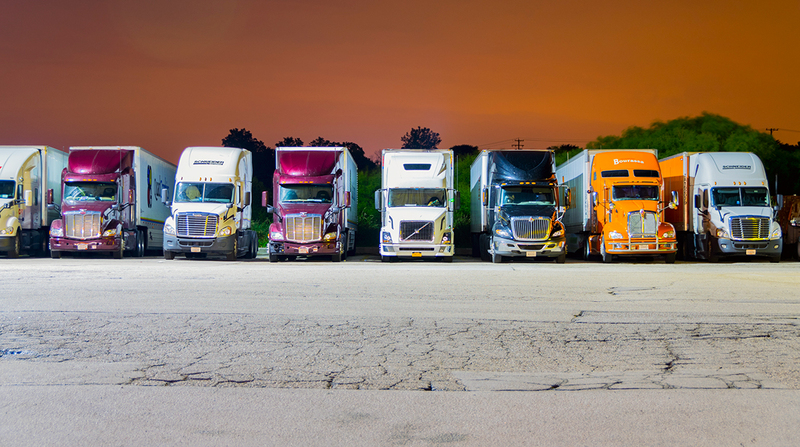 A large trucking company asked Burgoyne for help with this specific problem of drivers having better connection with service centers. Burgoyne formed Vantage Solutions in 2014 and got connected to his software developer Ash Gaur. Burgoyne had the idea and Gaur made it a reality. “What we have found in the intermodal industry is there is a lack of communication,” Gaur said. The communication capabilities is what the customers love about REACH. With REACH, the drivers and the service centers can connect with just a few simple steps on the REACH app or website. When there’s a breakdown, the driver can also alert the transportation company of the breakdown and the company can watch the progress of the service. REACH users can receive push notifications and they can chat. To date, REACH has seen 75,000 service events go through its system. Vantage Solutions became a portfolio company at the Youngstown Business Incubator about 18 months ago. The relationship helps connect Vantage to investors, potential customers and other resources to help grow the local company. “You always want your founder to be experienced in that space,” said Jim Cossler, entrepreneur in residence at YBI. XPO Logistics was one of the first companies to use REACH. “It’s very beneficial for us and given us a lot more visibility,” said Jeremy Worley, manager of intermodal maintenance and repair for XPO. Before REACH, the company used Excel spreadsheets to organize and review its service calls. “It helps us having one system, and we have one place where can communicate,” Worley said. Right now, REACH has more than 720 customers.